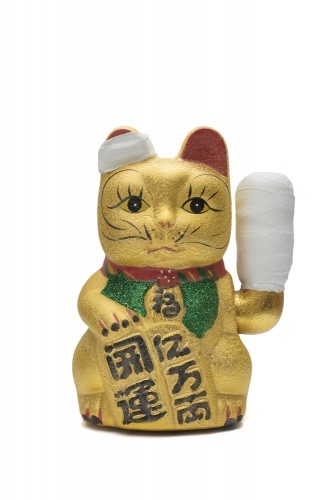 We are pleased to announce the opening of the exhibition “Xu Zhen Store” at Akio Nagasawa Gallery Aoyama. “Xu Zhen Store” is an art project by XU ZHEN®, a representative contemporary artist from China. Xu Zhen was born in 1977 in Shanghai. In addition to creating paintings and sculptures, he works across a wide range of genres including also installation, photography and video, and above that, is also active as a curator. 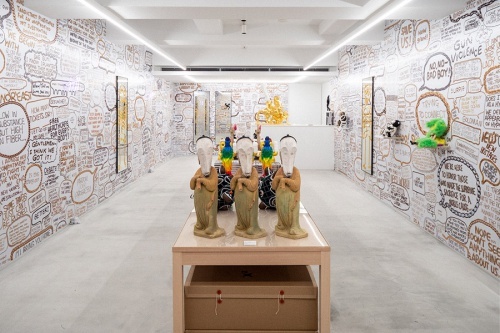 In 2009 he launched his own art production “MadeIn Company,” followed in 2013 by the brand “XU ZHEN®.” In 2014 MadeIn Company opened the gallery space “MadeIn Gallery,” and in 2016, the “Xu Zhen Store” by “XU ZHEN®”. Having exhibited his works at the Venice Biennale (2001, 2005), The Museum of Modern Art (New York, 2004), Mori Art Museum (Tokyo, 2005), MoMA PS1 (New York, 2006), Tate Liverpool (2007), Guggenheim Museum (2017), and other places around the world, Xu Zhen is still based in Shanghai today. This Tokyo version of the “Xu Zhen Store” by “XU ZHEN®” is the first ever exhibition dedicated to the “Xu Zhen Store” that is held outside China. 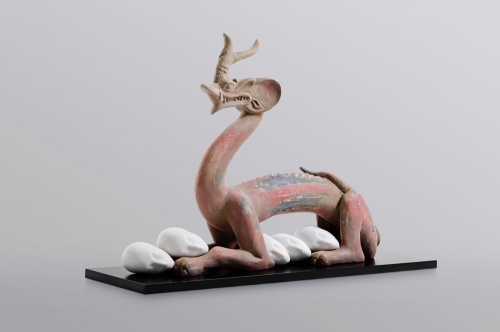 The artist describes the “Xu Zhen Store” as follows. 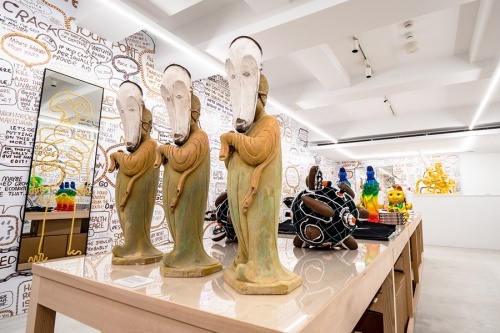 In accordance with XU ZHEN®’s own concept of a “pop-up store,” the Tokyo exhibition of the “Xu Zhen Store” features multiple artworks from the “Eternity” and “Evolution” series, two of the artist’s most representative creations, as well as items from his “Spread” series of works in the style of stuffed toys. Also “I’m fine!” a new piece that was specially made for the Tokyo show. Visitors can purchase all works on display, just like buying clothes at a boutique. 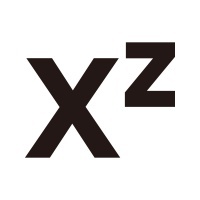 XU ZHEN®, founded by artist Xu Zhen in 2013, is the flagship art brand of MadeIn Company. Born in 1977, Xu Zhen is a leading Chinese artist and curator, and the founder of MadeIn Company. XU ZHEN® is committed to art creation and cutting-edge culture development. Through collecting and appreciating artworks and events produced by XU ZHEN®, users can enjoy spiritual aspirations and life experiences of the finest quality. Xu Zhen was born in 1977, and lives and works in Shanghai. Xu Zhen has been considered as an iconic figure in Chinese contemporary art. In 2004, Xu won the prize for ‘Best Artist’ at the China Contemporary Art Award. His practice covers various media such as installations, video, painting and performance, etc. Xu Zhen has exhibited internationally, at museums and biennales, such as, Venice Biennale (2001, 2005), The Museum of Modern Art (New York, 2004), Mori Art Museum (Tokyo, 2005), MoMA PS1 (New York, 2006), Tate Liverpool (2007), Hayward Gallery (London, 2012), Lyon Biennial (2013), Armory Show (New York, 2014), Long Museum (Shanghai 2015), Al Riwaq Art Center (Qatar, 2016), Sydney Biennial (2016), Guggenheim Museum (New York, 2017), among others. Aside from being an artist, Xu Zhen is also a curator. He co-curated together with other artists major exhibitions in Shanghai and was one of the initiators of Art-Ba-Ba (www.art-ba-ba.com), a leading online forum for discussion and critique of contemporary art in Shanghai, in 2006. In 2009, Xu Zhen established ‘MadeIn Company’, a contemporary art creation corporate, focused on the production of creativity, and devoted to the research of contemporary culture’s infinite possibilities. In 2013, MadeIn Company launched XU ZHEN® which is committed to art creation and cutting-edge culture development. In 2014, MadeIn Company established MadeIn Gallery and in November 2016 launched the first “Xu Zhen Store” in Shanghai.